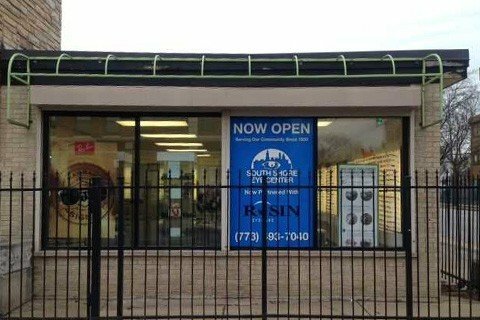 If you are wondering where you can find the best eye care in Chicago, look no further than Rosin Eyecare. With our extensive experience of over 80 years, we are Chicago’s trusted eye doctor. Our South Shore eye care specialists provide superior care for every patient to achieve clear vision. Starting with the comprehensive eye exam and leading to increased knowledge about eye health, we strive to give our patients a full understanding of their eyes. With our numerous locations around Chicago, you are sure to find one that is the most convenient for you. Our South Shore optometrists and ophthalmologists can be found at the corner of S Jeffery Ave and E 73rd St. Whether you are looking to be more aware of your eye health or are in the market for new glasses or contact lenses, we are here to help. From the moment you walk into our office, you will undoubtedly receive the greatest customer service in Chicago. We ensure that our patients have a positive experience and leave happy. The medical field has drastically grown since 1930 when Rosin Eyecare was first established. As we learn about new developments in the eye care field, we continue to grow as eye care specialists and bring new services to our patients. Our South Shore patients receive the best eye services in Chicago with the latest technology. We start every appointment with a comprehensive eye exam to get an accurate understanding of your eyes. From there, we determine what prescription is needed and then fit patients accordingly for contact lenses and/or glasses. To ensure that everyone gets the eye care they need, we also perform medical and surgical treatments including the popular LASIK procedure. We are an all-inclusive eye doctor in Chicago! To give your eyes the clear vision they deserve, visit our Chicago – South Shore location or give us a call at (773) 493-7040. *From the North: From La Rabida Children’s Hospital head southeast on S Promontory Dr then continue onto S La Rabida Dr. Turn right onto E Marquette Dr and take the left turn onto S Jeffery Ave. Continue south passing Ivy League Tutoring and you will find us located on the left just past Jeffery Place Apartments. *From the East: Take S South Shore Dr northwest and turn left onto E 73rd St. Continue west passing South Shore Branch, Chicago Public Library and South Shore Plumbing & Heating Supply Co. Turn right onto S Jeffery Ave and we will be located to your right.